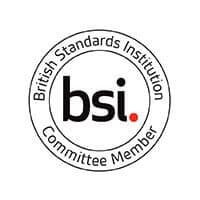 BPS Facilities Ltd. is an independent company whose excellent reputation has been built on providing quality of work for Businesses and Commercial properties throughout Wales, the South West of England and the M4 Corridor. We offer our planned and reactive building maintenance services to a wide range of customers in a variety of business sectors. Our team of professional, qualified, polite and proficient staff offer a complete engineering, repair and maintenance service for commercial and industrial companies, 24-hours a day, 365 days a year. As a business based on providing great service at fair prices, one of our most important responsibilities is to offer people the best in terms of service and quality. We believe our dedication to customer satisfaction, fast and efficient services at affordable prices will be the foundation of a long-term working relationship. We want to make a positive difference to the communities that we work in and we aim to focus our resources where we can have the most impact. We run apprenticeship schemes and work in conjunction with local authorities to engage in local community reinvestment programs. Our continued success relies on every team member providing excellent service to our customers every day. Our motivated colleagues are fundamental to our continued growth and success and we are committed to giving our people the opportunity to be the best they can be with development plans and ongoing training provided. We have a fully operated service centre which is based in Cardiff and our team of trained Customer Advisors ensure every call is allocated to one of our trained operatives or teams quickly. This ensures we service, maintain or repair your property or commercial appliances efficiently and safely. If you have an emergency repair we commit to categorising, allocating and repairing your fault with your approval quickly so your business or property can be back up and running safely for your team and customers. This includes us providing you with detailed recordings of the repair or remedial work we have carried out with full site information. Our Planned Maintenance Contracts are specifically designed around every client’s detailed requirements and needs, and our maintenance and repair services are all carried out by suitably qualified staff in conjunction with all current Health & Safety regulations. Full Risk Assessment and Method Statements are provided for every contract. Our professional and reliable service results in a high level of repeat business from our customers, along with many recommendations along the way. 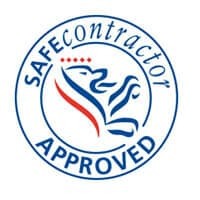 Our core values of trust and honesty run throughout our business and these are reflected in everything we do, from your initial call to us, our regular contract review meetings and the services are engineers and team provide. We deliver a high-quality service every time and our team are fully empowered and have a desire to do this. Health & Safety for our customers and team is a primary focus and priority and we are committed to ensuring our managers and staff receive the latest safety training. We operate and fully comply in accordance with CDM Regulations HSE 2007 with amendments as necessary. We are positively engaged with our clients’ Health & Safety procedures and we work closely with them to encourage and develop safe working practices.